A Shropshire grandfather has made an urgent plea to help raise £500,000 for potentially life-saving treatment for his 10-year-old grandson. Dave Perrin, of Lea Cross, near Shrewsbury, is attempting to secure as much funding as possible with the help of family, friends and colleagues across Shropshire, to get urgent medical treatment for his grandson Harry Banks. Harry, whose mother Nina is also from Shrewsbury and now lives in Milton Keynes, has twice beaten a rare form of cancer known as Neuroblastoma in the last four years, undergoing grueling chemotherapy, radiotherapy and major surgery. But doctors now say that the risk of his aggressive cancer cells returning is extremely high, and current treatment methods in the UK are unlikely to be effective. “We’ve now run out of treatment options to keep Harry’s condition at bay, so our only hope is a pioneering new trial in the United States where an experimental antibody drug known as 8H9 is fed directly into Harry’s spinal fluid,” said Dave. 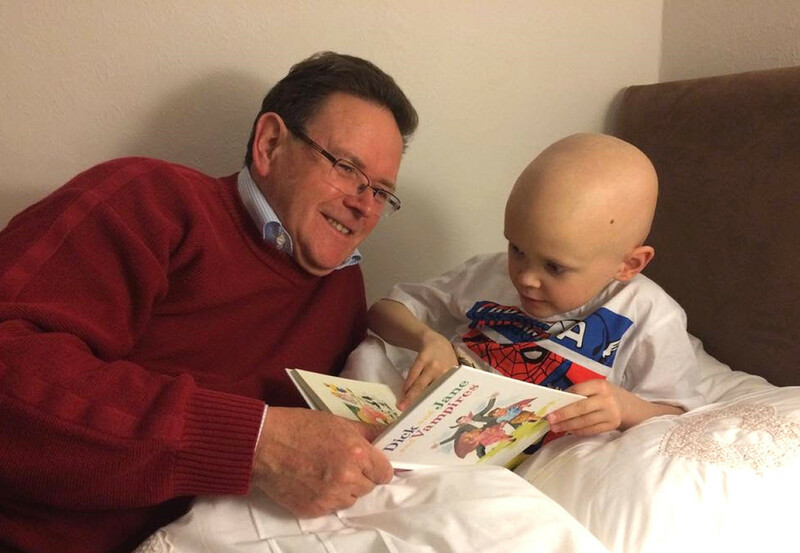 “We have a terrifyingly short window of just a few months to raise funds for this treatment before Harry’s cancer returns, and we’re pulling together to do everything we possibly can to reach our target and help to save his life.